1. Imperial AT-ACT Driver is exclusive to the vehicle. 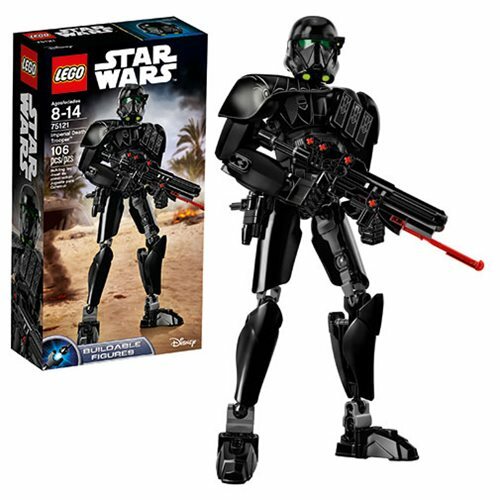 C2-B5 is exclusive to the vehicle and a 3 legged version exclusive to the Disney Elite Collection as well as the exclusive Heavy Gunner Storm trooper. My question is will these figures be released in the near future? 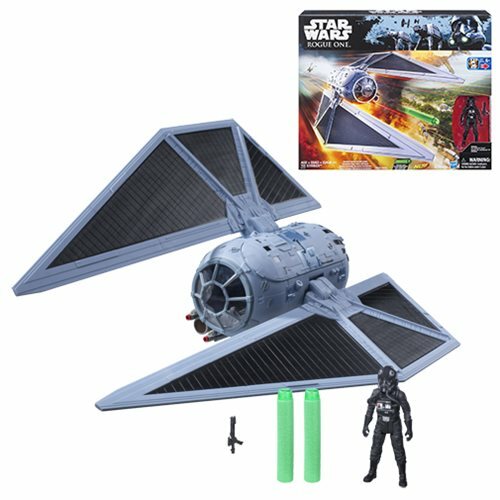 Or will we have to pay an arm and a leg to get these with the vehicle/sets they are with now? 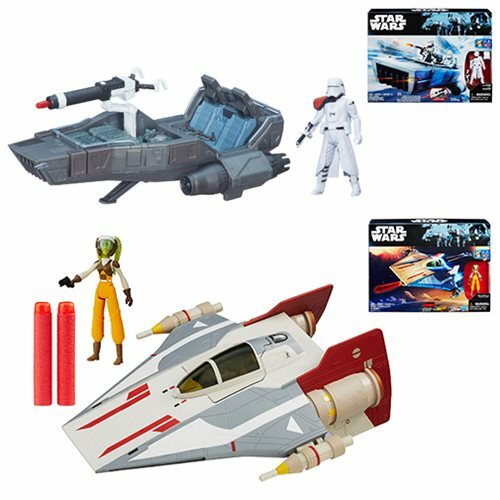 Rarely do any vehicle pack-in figures that debut as an exclusive figure with a vehicle show up again later unchanged. It happens, but it's very uncommon. 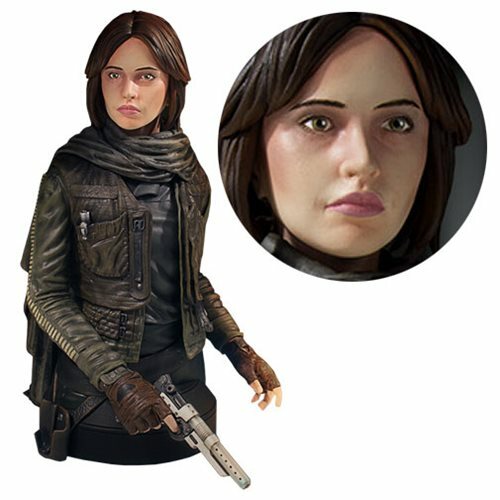 The AT-ACT Jyn Erso looks similar to a 3 3/4-inch release coming up, but I don't know when for certain we'll see side-by-side comparisons - and it's possible it might not have the scarf. 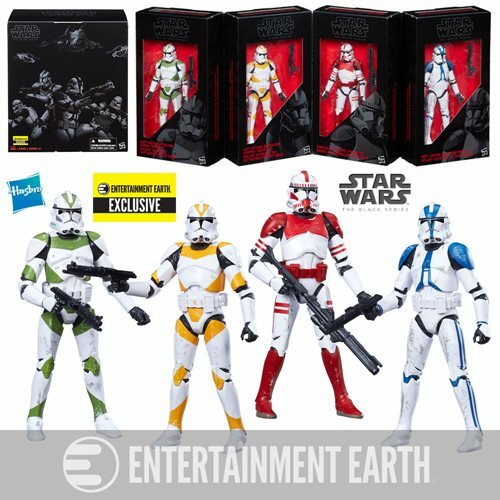 I wouldn't anticipate seeing the droids and an unchanged Heavy Gunner Stormtrooper packaged individually. At best, expect minor changes - but given history, I'd just expect nothing. Start making plans surrounding buying an AT-ACT before the figure swappers do. 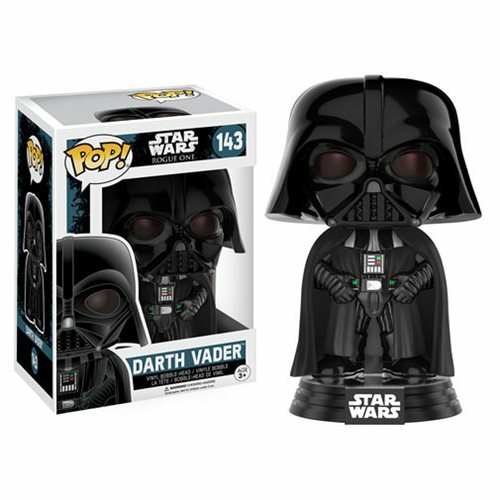 Ad: Get Rogue One and New Exclusives from Entertainment Earth! 2. 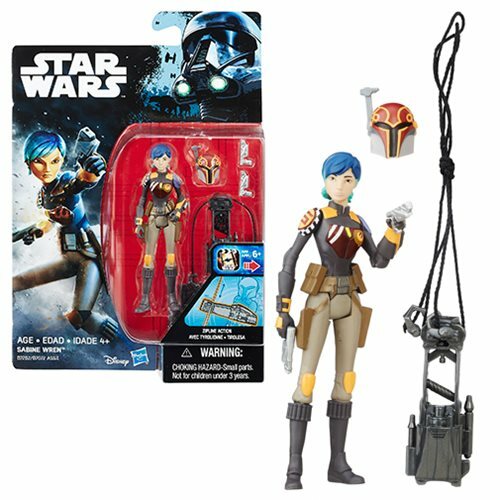 Do you have a list of the exclusive Disney Carded droids? (and also maybe what sculpts they are repaints of). I know of a couple but they seem to pop up unexpectedly like the recent R2-B00 Halloween themed figure. I know there was the Holographic R2 and a Holiday themed one, and I thought some Disney Anniversary themed ones. 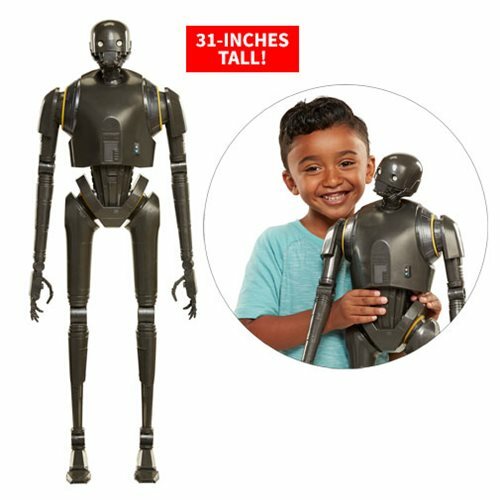 There are two boxed sets and a handful of single droids. I wrote reviews of many of them here with more to come, but here's the rundown. There's also a 4-pack for The Force Awakens and, as of this week, Rogue One. Also, you may want to count R2-MK as he was packed with a vehicle. Happy hunting! The original going rate on the singles was about $13, but if you count such expenses as tax, shipping, theme park admission, hotel, travel, and your time, I'd say if you can snag one for $20-$30 you're doing yourself a massive favor. 3. TNT after paying a bunch of money had all six Star Wars movies playing last week one night after the other, and I know I must've seen the original trilogy movies a hundred times each since they've been available to watch. I own them all in different formats and yet I'm still drawn to watch them when they're on TV, weird. So while watching I noticed some characters that I may never have thought about before like when Vader arrives at the second Deathstar in Jedi there are a bunch of guys with blue uniforms with what looks like Death Squad commander/Imperial Naval trooper helmets on them, yet I don't think I've ever seen a blue clad imperial figure before. The one that stood out the most to me was the Imperial snow trooper in Empire. When General Veers is in the AT-AT cockpit and turns to the snow trooper and tells him that "all troops will debark for ground assault" the snow trooper he speaks to is different than any incarnation I think I've ever seen. His uniform is crisp and white and glossy, his mask is less a wrinkly bag like we've seen it has a nose of sorts and almost like nostrils indented on them, and he has a four piece red and blue command badge on his left lapel as well as little silver "coins" on each "ear" of his helmet. You don't get to see the rest as it's just a quick shot and basically from the chest up. 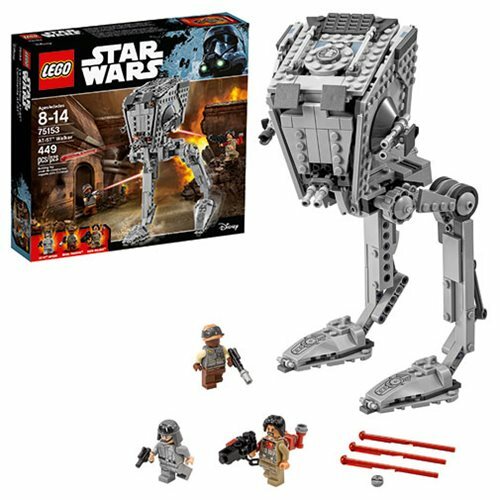 He does turn around to walk away and he does not have the big backpack the rest of the snow troopers have more like the raised rectangle area seen on the stormtroopers, AT-AT drivers and TIE pilots. I don't know if it had the "O-11" emblem on it. I added a you tube link of the scene below for you to refresh your memory. Anyways, to your recollection has a figure in any scale ever been produced of this version of the snow trooper and do you have any idea why he's different other than maybe being a commander? The AT-AT drivers have different helmets too in the same sequence as they're marching towards the forward rebel position the helmets have a large white plain ridge that runs down the back of the helmet yet when they are blowing up the generator on the rebel base their helmets have red stripes running down the back of the ridge. I honestly don't know if any figure has this little change or not, I haven't opened my SSC 1:6 version so I haven't looked there yet. But after all this time you still see little things like this. I guess after seeing it this many times my brain is subconsciously trying to pick out these little details. There's a real, genuine HD difference. I've seen these movies in the theaters - like many of you - and I see details I never noticed before, only on the HD video versions. This is one of the reasons an HD print of the original (inferior, not special, whatever) trilogy is such a tasty treat that, for the time being, is obnoxiously out of reach. The crisper Snowtrooper Commander was made in The Black Series 3 3/4-inch line in 2014. 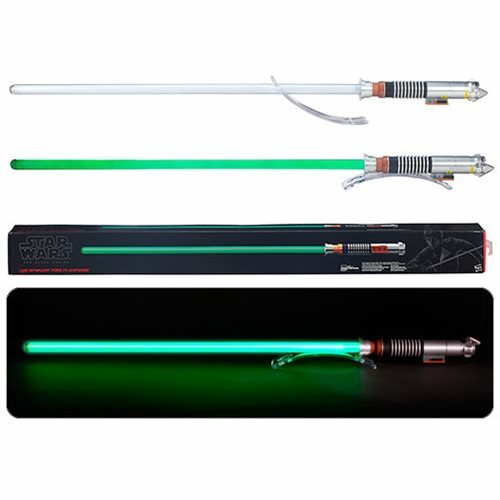 Check it out here or click here to see what Amazon is selling it for these days. I'm still hoping for a "warts & all" release of the original film, if such a thing were possible, and I'm sure it is - it's just a matter of if it's worth it for the parties involved. It may not be - after all, unless you can convince the new generation that the originel edits truly matter it might not be a smart business move. But I digress. I had a whole thing written on the Rogue One launch - but it got dull. (And so was the column. HEY-O.) The short version? I did hop in to a Toys R Us at midnight, I did not get my Hovertank pilot because some dude ran out with all of them by 12:03 when I got there. 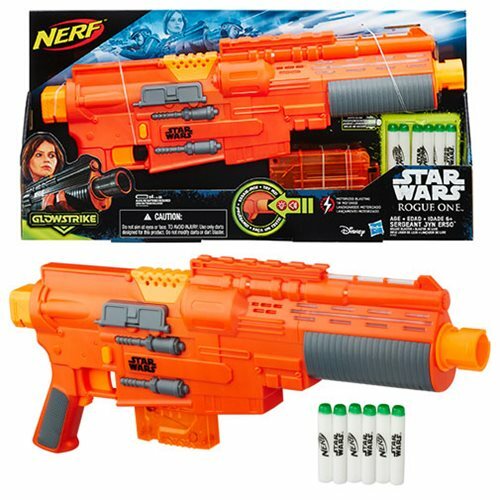 I also have not yet seen Jyn Erso from Kmart, because our only remaining Kmart did not stock any Rogue One merchandise just yet. This is the sort of thing that, in the 1980s and 1990s, usually served as a precursor to a store going out of business - specifically when it came to LEGO or Nintendo. If they missed a launch by a few weeks, it's the end. I hope it's not. But by and large, it was a soft launch and I'd absolutely love to put an end to the launches of any kind - midnight or otherwise - in favor of just putting out the stuff when it comes in. You know, like normal customers enjoy. I also took the first step into the long, long, long-in-planning "How I display all my modern figures?" project. I don't know the exact tally myself - I expect we're in the 2500-3000 range depending on how one counts variants. I'm hoping I won't have to move ever again, as this requires many, many trips to IKEA to make it all happen. It may not be the most efficient way to do things, but I'm planning on buying a whole mess of their Billy book cases along with (I have to look this up) Morliden doors. I don't feel like dusting and I figure the doors will help prevent figural divebombs - but it's expensive, heavy, time-consuming, and expensive. It's worth mentioning twice. If this all works out I may have something of merit to share in a while, assuming the first one works out as planned. I'm stick of not seeing my stuff - I've been in my current house for six years this month and dammit, I want to see what I've been doing for the last two decades. I don't have a good vehicle solution yet - heck, this might not even work for the figures. It's going to take a while to do especially with the writing and the working and the various soirees (OK one) I must attend for various reasons this season. If this works out I'd love to do the same for Titanium Series vehicles and if it lasts long enough, helmets. I don't assume Hasbro will really keep helmets going forever, as we've pretty much hit the high marks of the original trilogy in four waves. (I know there's more to do, but seriously, the most popular stuff's out.) It's almost a shame Hasbro hasn't come up with its own modular, expandable toy display solution to make things easier for us - and to get a few more bucks out of us. I doubt there are many with hundreds, let alone thousands, of opened action figures in need of a home but hey - we exist. We need help.